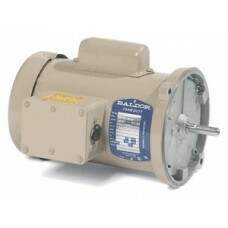 These motors are designed for many of the varied applications found on the farm. Designs include motors suitable for aeration fans, auger drives, grain stirring, metering pumps, instant reversing, irrigation tower drives, and crop driers. General purpose motors are also available in both single and three phase, TEFC and ODP construction. For those loads that are hard to start and require extra torque, Baldor is the only motor manufacturer that stocks Repulsion-Start Induction Run motors, in sizes from 2 HP to 10 HP.